Congratulations to Shaghaygh Akhtari for receiving two scholarships! Shaghaygh received Lumber Inspectors’ Benevolent Society Scholarship and Mary and David Macaree Fellowship in Sept. 2016. 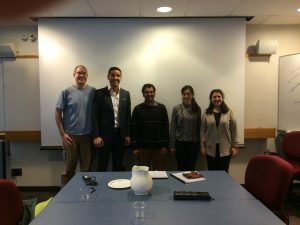 Congratulation to Krishna Malladi for receiving a fellowship! 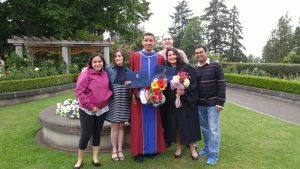 Krishna received VanDusen Graduate Fellowship in Forestry in Sept. 2016. Welcome to Evelyn Gao our new member! Evelyn Gao started her Master’s program in Sept. 2016. 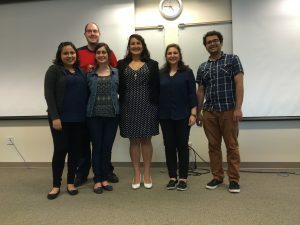 Congratulations to Claudia Cambero for her successful Ph.D. defense! 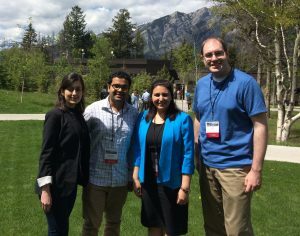 IERG members (from left to right) Shaghayegh Ahktari, Krishna Teja Malladi, Professor Taraneh Sowlati, and Luke Opacic each presented their work at the conference this year. 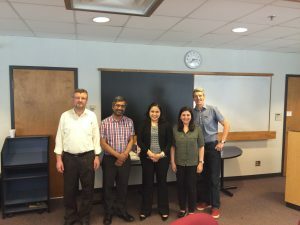 Congratulations to Diana Siller for the successful completion of her Master’s!